Chief meteorologist Tom Terry and WFTV Channel 9’s team of certified meteorologists have produced the most accurate, local weather technology available with the WFTV Channel 9 Weather App. 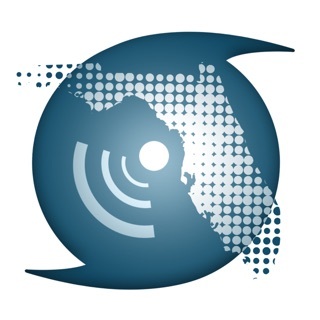 This free, 24/7 app is constantly updated with the latest storm and forecast information for the Orlando and Central Florida areas. Plus watch live coverage of Eyewitness News and the WFTV meteorologists in Severe Weather Center 9 right on your mobile device. By using the app’s built-in interactive radar, you can zoom down to your neighborhood, including Brevard, Flagler, Lake, Marion, Orange, Osceola, Polk, Seminole, Sumter and Volusia counties, or zoom out to check radar anywhere in the country. Location based storm alerts will direct you to the latest severe weather warnings. The WFTV Weather App focuses on complete Central Florida weather coverage for WFTV viewers and News 96.5 listeners. -	There is a new radar in the weather app that matches the radar found on other digital platforms and also includes future radar to provide you with a likely path and outlook of storms. The radar has 250 meter resolution, the highest available. -	New tracks - We added earthquakes and storm tracks as layers in the radar. Now you can track the location and magnitude of earthquakes as well for storms the speed, direction and type. Tap the “storm symbols” icon in the radar to see the list. -	Push alerts are FREE for more than 25 alert types including everything from tornado warnings to winter storm warnings and tropical storm alert types. -	Now you can scroll through the home screen to access most of what you need or want on one tab. -	Place a location pin precisely where you want it for a specific address or any position on a map. When saving a location you can name it exactly how you want it. -	The app works with identical features on tablet and handset. Thank you for your feedback! We have enhanced our radar, moved the daily forecast up higher and made some modifications to the wording on the lower navigation menu to help you find critical content. Please keep the feedback coming and we'll keep working hard to improve our app for you! Note: App versions prior to 4.7 will stop working on 5/1. Please update today! I just went to look for tomorrow’s weather and found that the app I was used to and found to be really easy to use and informative has changed beyond all recognition. It’s the wrong way round and asked me a whole bunch of annoying questions to begin with which no doubt have changed the way I got the weather warnings I need. Finally I get to video which I don’t want and confusion. You just lost me. I don’t like the change at all. The video won’t stop and I don’t want to hear it. It removed all my cities - it’s ridiculous how you get to radar. Put it back the way it was.